Fruit-flavoured e-juices are ever popular and it's little wonder: nobody can match Mother Nature when it comes to producing pure and distinctive flavours. 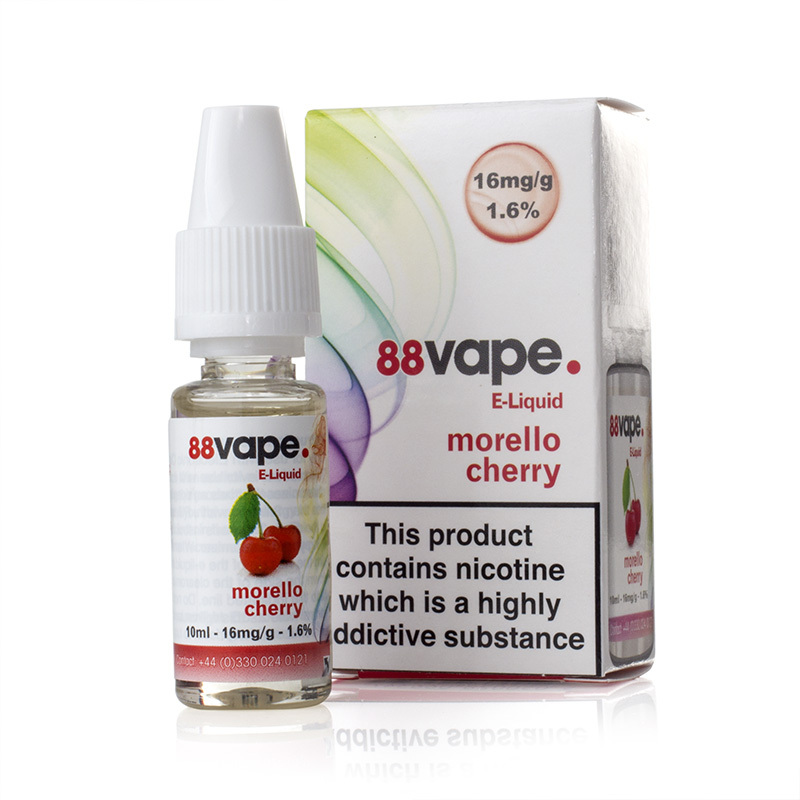 If you're a fan of sharpness as well as sweetness in your fruit, the 88Vape Morello Cherry E-Liquid could be perfect for you. 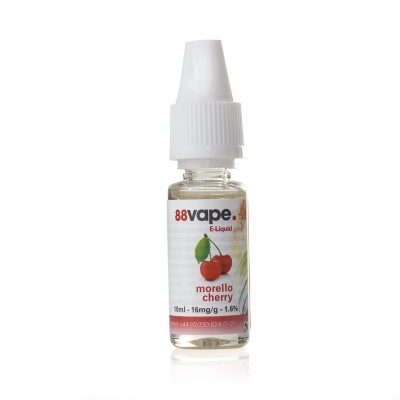 Morello Cherry E-Juice is supplied in 10ml bottles and has two different strengths available for your preference. Morello cherries are a dark red, acidic cherry which are often used in preserves. As such, this cherry e-liquid is tongue-tinglingly sharp with a balanced sweetness. Morello Cherry E-Liquid has a combination of 20/80 (VG/PG) for a strongly-flavoured vape with a powerful throat hit. 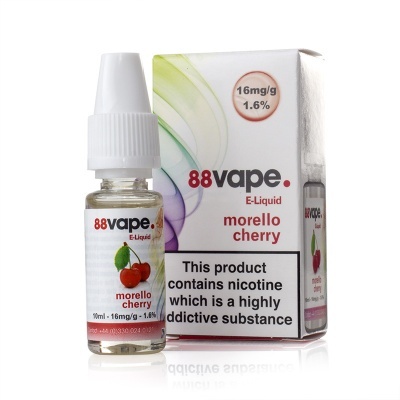 Vape88 Morello Cherry is supplied in 10ml bottles only.